If you buy pond plants, for example, in a garden centre, they should be transferred to a pond as quickly as possible. To this end these pond plants should be put in pond baskets. You can usually buy them along with the water plants. Buy simultaneously pond soil with clay and you can set to work at once. Line the inner side of coarse-threaded plant baskets with cloth in order to prevent soil from rinsing out. After filling with pond soil and placing a plant the cloth liner is folded up and covered with gravel. You can also opt for flexible plant baskets made from woven material. Please remember that plant roots need quite some space, therefore choose your pond baskets not to small. Once you put them in a pond basket, you can put the baskets containing plants in your pond and move them until they are in the right place and depth. When it is getting colder you simply move littoral plants and oxygen producing plants to a deeper and warmer area in the water enabling them to hibernate. The hardy species can stay in place, tropical water lilies, however, should absolutely remain in a frost-free place, preferably outside the pond. 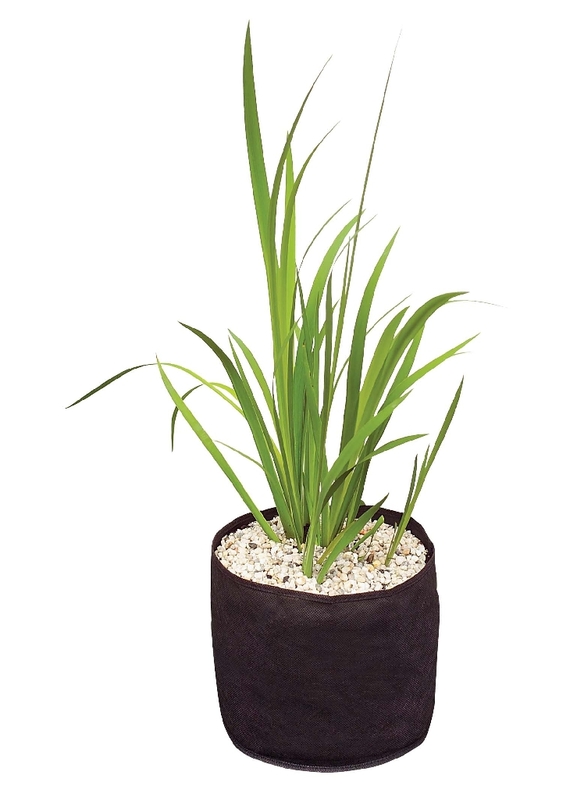 In winter you should bring tropical plants indoors, keep them moist and in a light place. Good quality pond baskets are indispensable here. Some kinds of pond plants may start growing rank in a pond, when placed in a far too large pond basket. The opposite is also true. A fitting pond basket will inhibit growth of a pond plant. The size of het basket will determine the size of the plant. Do you want more pond plants? Most pond plants can be propagated by dividing or tearing. To this end you should take the pond basket out of the pond, rinse the soil off its roots, divide the plant and plant the parts in baskets with fresh pond soil. In this way you can also simply divide and exchange plants with other pond owners.